Excellent work! Can the war be readily deployed into tomcat 6/7. Any special configuration? Hi, is there a plan to support data sources when creating components? e.g. a drop down list or table that is populated by an underlying database table? - conditional rendering of UI elements? Try the jBPM User Forums or the drools mailing list. 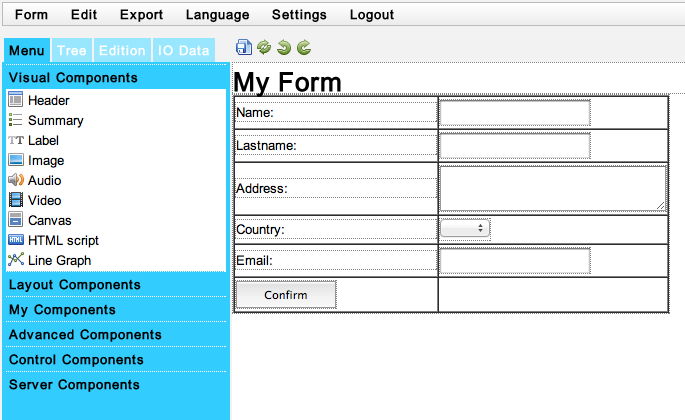 I will be soon publishing a blog post that explains how you can code your own forms. Not sure if that will work for you, but it will give you the ultimate flexibility to retrieve data and define which widgets are shown under different circumstances. Thank You, must say I have already looked at these Forums and not finding what I am looking for. I see you road map at: http://blog.athico.com/2012/01/jbpm-form-builder-roadmap.html but that is also a 2012 post. Which definitely sounds like something we are looking for. However on the jBPM Forums even for the most recent posts: https://community.jboss.org/thread/242174 I see people are still plugging their own front ends in. Thanks in advance. You can always plug your front ends or collaborate with the community initiative to improve what we have now. For the long term I see the participation in the community as a win-win situation. 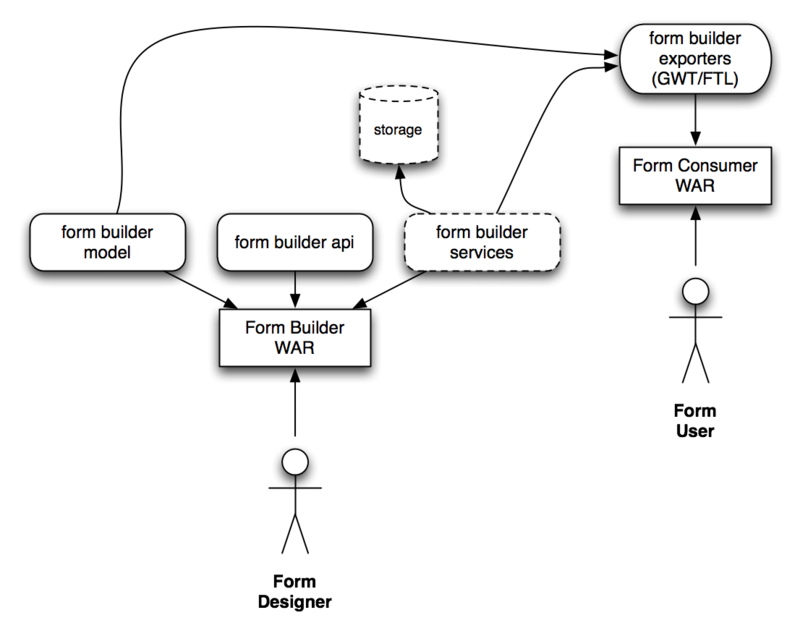 Nowadays as I mention in my previous comment there is a way to basically code your forms using the uberfire framework and hook that into the task list. That will allow you to call external services, add complex widgets or anything that you cannot do in a business oriented tool like the form modeller. It would be great to be able to customize and contribute to the community however... I am having issues building the console on windows and not having much luck getting around this issue. However every suggestion I have tried has been without luck. Any help on this would be much appreciated.